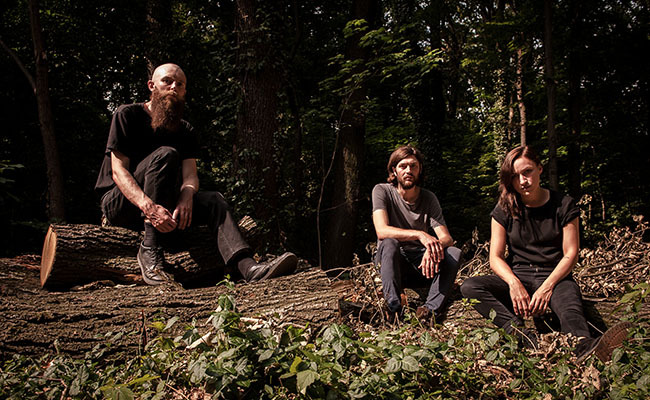 Esben and the Witch will be releasing a new album, Older Terrors, on November 4. Their first in three years, it also marks the Brighton-based trio’s premier release on French metal label Season of Mist with whom they signed in July. “Sylvan”, the first single taken from their upcoming album, suggest a shift in style towards a heavier and more expansive sound. A haunting urangst evoking 13-minute number, it plays with dynamics and traces carefully constucted post-rock moments that soar and die quick deaths.The song builds and erupts through swaths of atmospheric and ambient passages, foregrounding Rachel Davies’ ethereal and gracious vocals which loom over the track as a simultaneously appeasing and menacing presence. “The song is about a fire raging through an ancient forest, about primal forces, wild and uncontrollable loosed upon the land and how we might try to find meaning and even beauty in a burning world,” guitarist Thomas Fischer says of the track. Older Terrors is out on November 4 via Season of Mist, pre-order here.